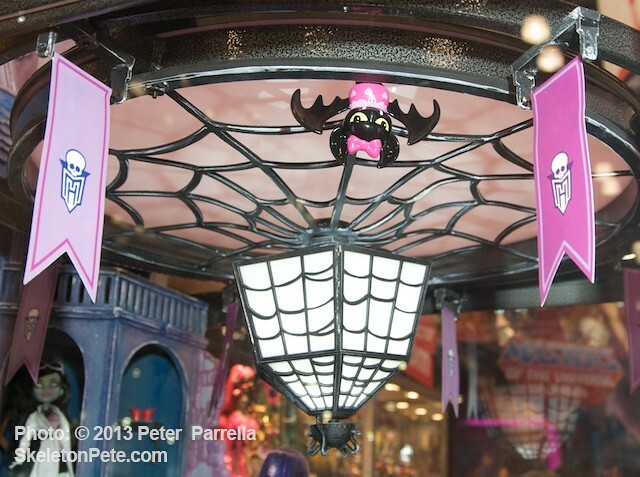 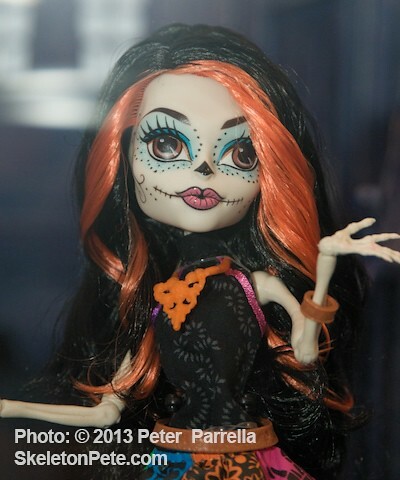 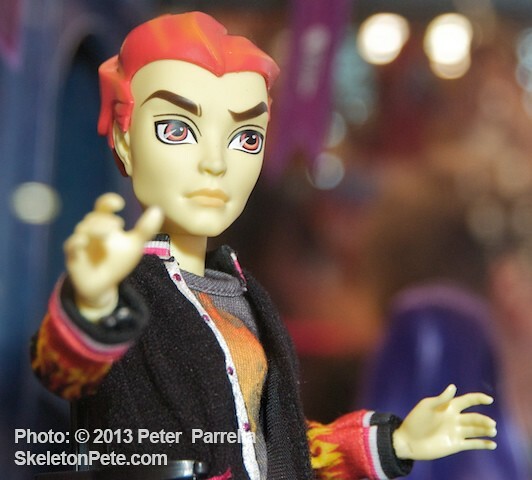 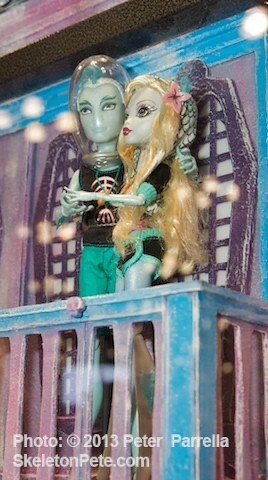 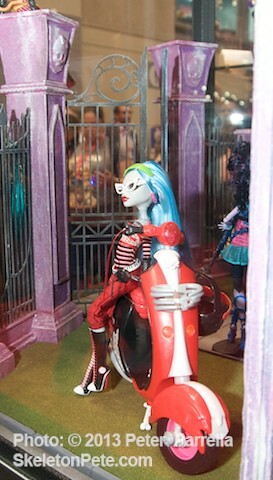 Mattel’s Booth @ NY ComicCon 13 included an elaborate Monster High installation. 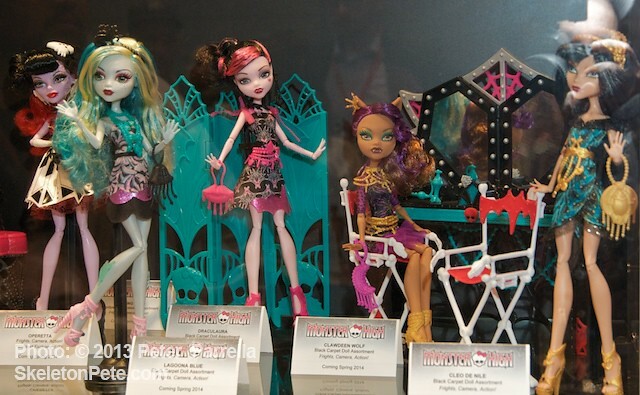 The Mattel Toy Company, famous for that most iconic of fashion dolls Barbie, has tapped into an outre oeuvre that certainly bolstered their bottom line this year with the fantastical fashionistas of the Monster High product line. 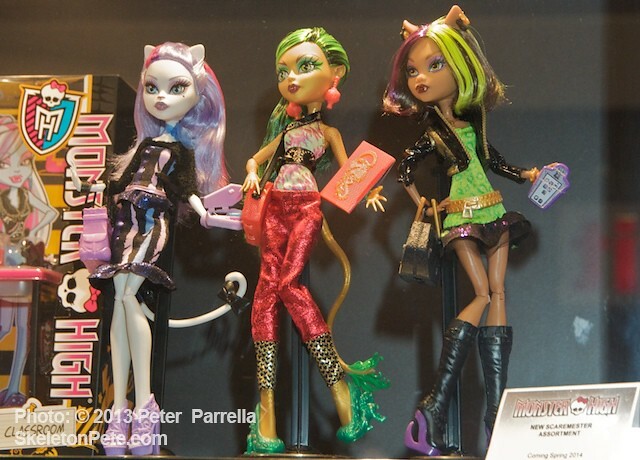 The ghoulish gal and guy figures with names like Draculaura, Frankie Stein, and Clawdeen Wolf, are only part of the company’s multi-faceted brand (apparel, films, games, apps) which has captured the imagination of the pre and early teen population, and methinks their Moms too. 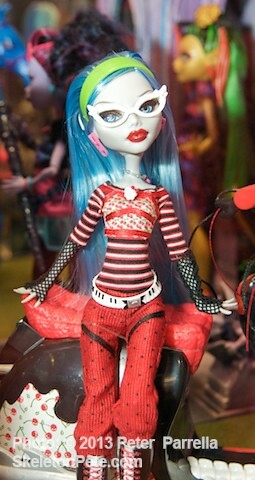 I can only imagine how many young ladies will be masquerading as their favorite Monster High hellion this Halloween. 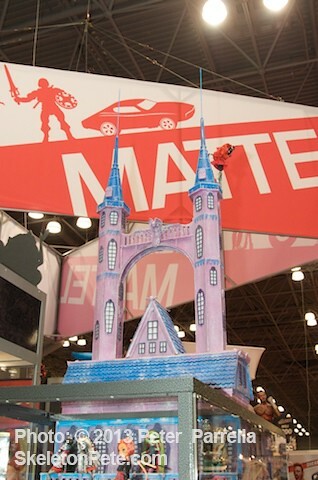 At the bustling New York Comic Convention this past week Mattel featured their spring 2014 crop of diabolical debutantes in a beautiful installation with castle spires and cascading stairways. 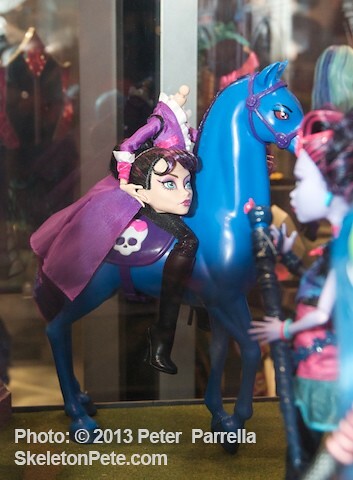 The Monster High packages are noted for online interactive content, like a special club key allowing access to Draculaura’s “sweet sixteenhundred” birthday party. 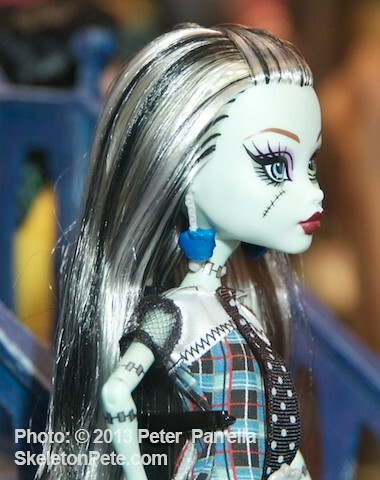 Check the official Monster High website for the range of interrelated activities. 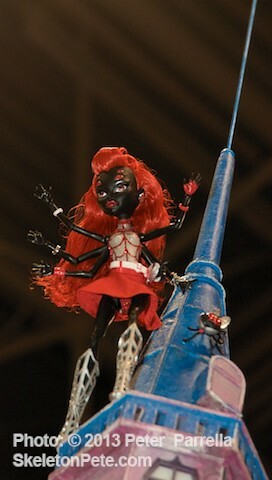 Mattel’s ComicCon exclusive, the six armed daughter of Arachne Webarella, was quick to be scooped up by first day convention attendees. 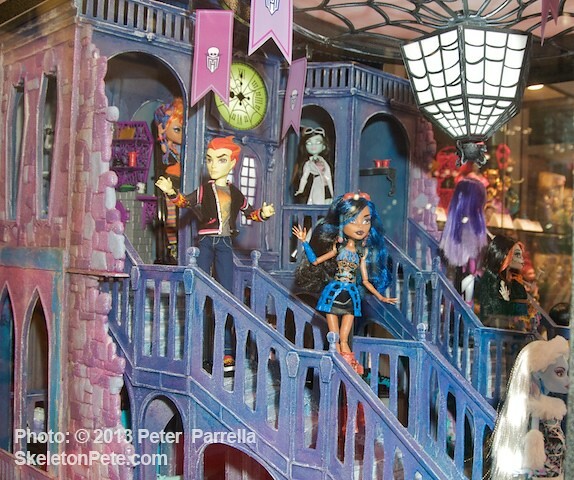 She waved teasingly from the castle parapet for the rest of the show.